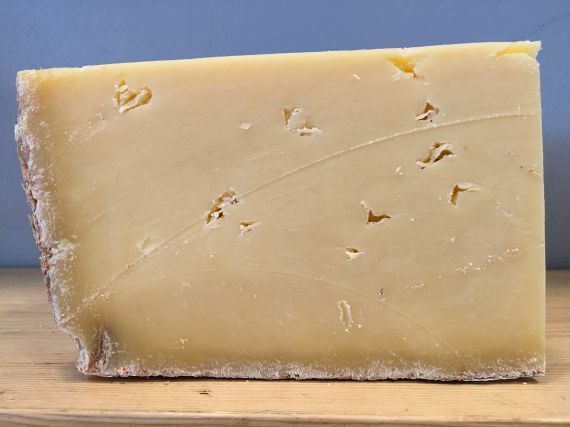 Similar in appearance to Cheddar but with a unique texture and flavour, the Vintage Lincolnshire Poacher is a fantastic hard cheese. 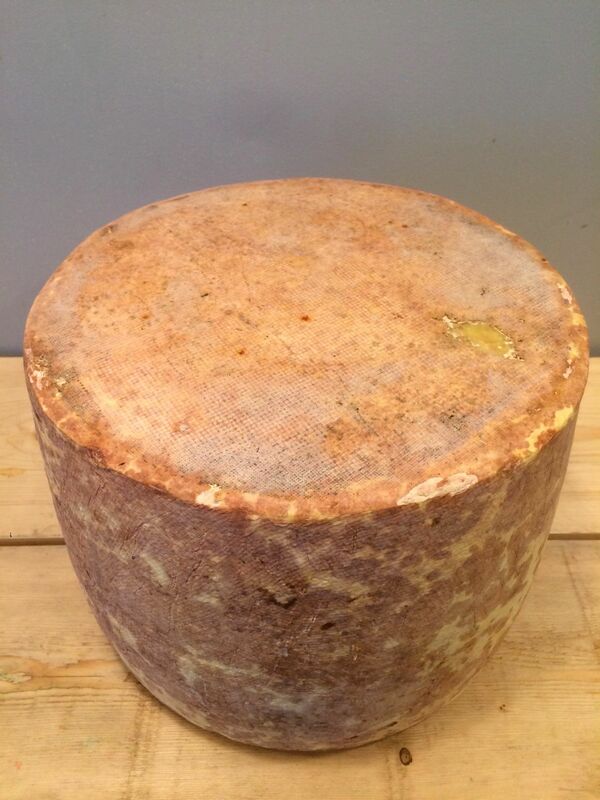 Smooth, fruity notes with an earthy nuttiness near the rind, Vintage Lincolnshire Poacher is matured for between 18 and 22 months usually, which gives an added complexity to that of the standard Lincolnshire Poacher. 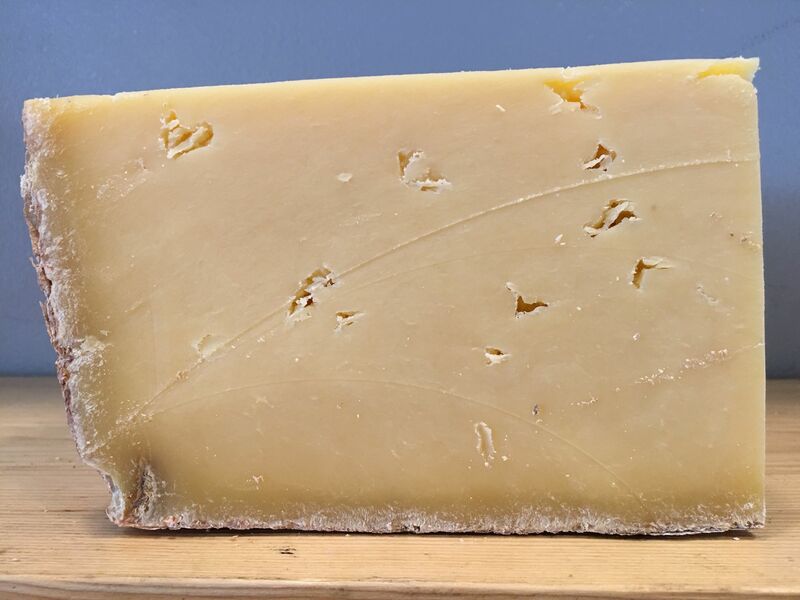 The cheese is made using milk from Holstein cows which give an added richness, that along with the farming approach employed, produce a stunning cheese. 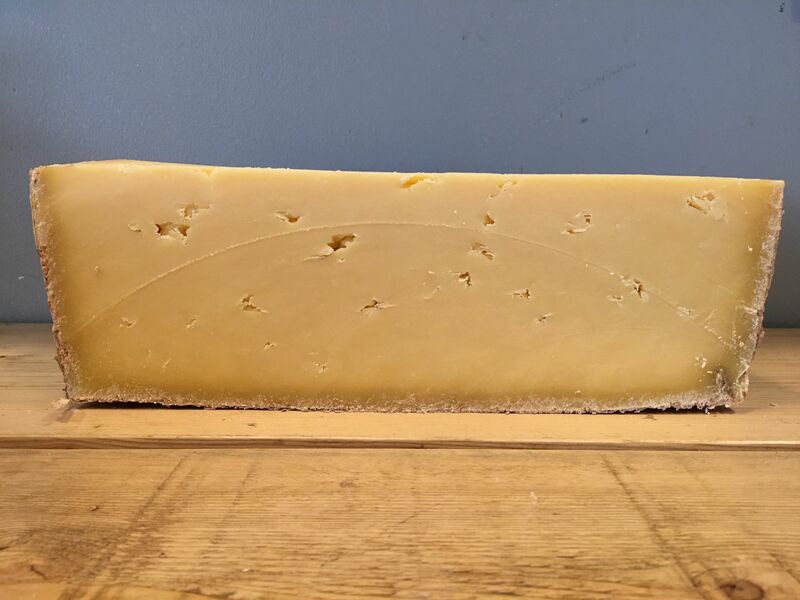 The texture is cheddar like but the process of manufacture gives a nod to the French mountain cheeses such as Comté and Gruyere and there are hints of both in the flavour. There are so many ways to enjoy Lincolnshire Poacher, as a hard cheese on a cheeseboard, as part of a Ploughman's Lunch, in a toastie with cooked ham and mustard, the list goes on. The flavours of the Poacher add a beautiful, rich flavour to any dish. This cheese also makes a great base to cheese wedding cakes as it looks and tastes great and is a very accessible cheese. The Poacher that we have in stock at the moment is just shy of 24 months old. Made with hops, wheat, barley and malt this is the perfect cracker for beer and cheese lovers. Quince is a great fruit for cheese, going especially well with hard sheeps cheese. Full flavoured Gruyere style Swiss cheese, washed in red wine.